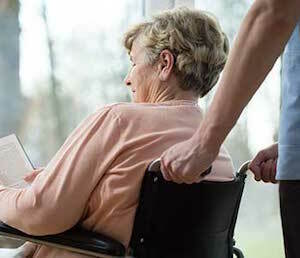 The Trenton bedsore injury attorneys of Nursing Home Law Center LLC serve victims of systemic neglect who have been forced to endure agonizing and life threatening injuries at the hands of negligent nursing facilities that place their financial gain above the wellbeing of their patients. In order to stop this continuing trend, we believe that these nursing centers need to be held to account for the immense suffering their deeds have caused by providing fair compensation to their victims. If you believe your loved one is being treated unfairly, we would like to hear the details of your claim. Trenton is the capital of New Jersey and its fifth most populous city with a population of over 84,000 people. Minorities make up the majority of its population and the senior segment represents nearly 9% of its residents. Many more are on the cusp of retirement, increasing the need and demand for senior services throughout the area. To help serve these needs, Trenton’s Division of Community Relations & Social Services offers free services to residents over the age of 60 through senior centers located throughout the city. The programs offered vary from assistance with tax preparation and legal forms to transportation assistance and nutrition programs. Residents can also participate in social and physical activities which can include dancing, group board games, arts and crafts, health workshops and group trips. To learn more about the services being offered or to find the center closest to you, visit the Office on Aging’s website at http://www.trentonnj.org/Cit-e-Access/webpage.cfm?TID=55&TPID=6584. The decision to place a loved one in a nursing center is difficult enough without the worry about whether their needs will be neglected. Reports of abuse and neglect have abounded in the media over the last decade and this increase is tied to the ubiquity of for profit nursing chains and reduced government spending on senior services. Refusing to do business with nursing facilities guilty of neglect or abuse is the only means the public has left to motivate the industry to clean up its act. To narrow your search, our Trenton pressure sore lawyers recommend using the nursing home compare tool provided by Medicare. It offers detailed ratings for all of Trenton’s 73 nursing homes based on their health inspection histories, staff quality scores and history of penalties, fines and citations. To use this tool, simply visit https://www.medicare.gov/nursinghomecompare. Patients most at risk of developing bedsores are those who have difficulty moving on their own accord or who are confined to their beds or chairs. When assessing these patients’ needs, nursing staff need to formulate a treatment plan that ensures they are moved every several hours to restore circulation to areas of the body that may be deprived of blood due to the pressure placed on these patients’ joints. That is all it takes to ensure that a patient doesn’t develop a pressure ulcer or that existing sores do not become worse. It takes an egregious amount of neglect for caregivers not to notice a patient is in pain and has sores which are getting worse by the hour and day. In their advanced stages, pressure ulcers become open and infected wounds that fester and decay. At this point, immediate emergency medical treatment is required to save the victim’s life and to set him or her on the path to healing. If your loved one is suffering from pressure sores, Nursing Home Law Center LLC invites you to arrange a free case review to learn more about your rights and legal options. Without any obligation, you will be able to learn what legal options are available if you wish to pursue a lawsuit and what you can expect from our award winning Trenton bedsore injury attorneys. We will only accept payment once we have secured compensation on your behalf, so you are assured our services will be free of charge if we fail to do so.